Fishing, is of course, a popular pastime that is enjoyed year round in countries throughout the world. There are many different types of fishing that people engage in, including deep sea, angling, trapping, surfcasting, netting, and fly fishing. The last category is what we will be focusing on today as we look at the top 10 fly-fishing books. The books we have chosen will help you gain insight from the experience and knowledge of the authors, who are all renowned fisherman. These selected books will prepare you for the ultimate fly-fishing experience by helping you to understand all of the necessary tools and proper techniques, including angling ideas for different types of fish and how to find the right location for the best results. Whether you are a novice fly-fisher or have many years of experience behind you, we are confident that reading these recommended books will increase your knowledge and enhance your future fly-fishing experiences. Tom Rosenbauer draws from his fifty years of fly-fishing experience to provide his readers with insights into how to perfect their angling techniques. As a well-experienced fly fisher and fishing-school instructor, he provides relevant solutions to his readers in easy to understand language. As a starter in the fly-fishing sport, you will benefit greatly from one of the best authors in the field, whose books have been featured in the New York Times. If you are more experienced, reading this book will help you to quickly see that there is always something more to learn. This is just one of several books Rosenbauer has written on the subject. In this book, you will learn how to up your angling game to unmatched perfection. The knowledge you gain from Fly Fishing for Trout may even be more helpful than what you learn from classic fly fishing schools. The author includes some of the latest techniques in the sport, including rigging and casting to make your fishing experience more satisfying. His books also offer links to tutorials that you can watch if you’re a more visual learner. 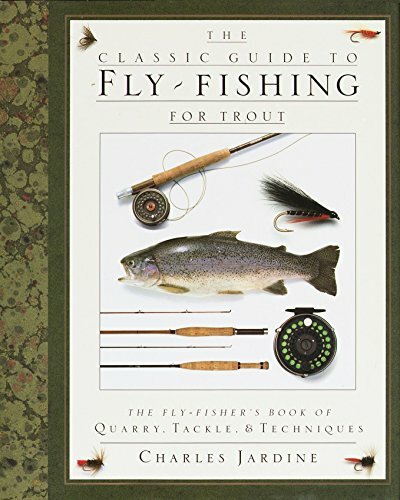 In A Classic Guide to Fly-Fishing for Trout, Charles Jardine delivers not only a detailed history of the sport but also a comprehensive guide to every facet of fly-fishing. Additionally, he provides extensive knowledge in many areas that you need to master when participating in fly-fishing, including guidelines on how to cast effectively, advice on tackle, and tips on how to locate trout. The book also offers advice on how to perform fly-tying easily to avoid unnecessary stress. Perhaps the most appealing aspect of this publication is the vivid pictures that accompany the detailed text. No matter what your background in fly-fishing is, you are likely to find value in this book. The sport of fly-fishing has a long history in the United States, and author Paul Schullery explores the evolution of the popular pastime from Colonial days to the present in his book American Fly Fishing: A History. His book combines literature from the most recognized angling authors with his knowledge gained as the director of the American Museum of Fly-Fishing. The book explains every aspect of the history of fly-fishing in the U.S., including how European traditions were integrated, how technology has changed the sport over the years, and how the values of fly-fishing have changed with time. Furthermore, you’ll learn about the warm angling waters off the east drift and the evolution of fly fishers who moved in search of more fertile waters like the watersheds in the Western parts of America. As a modern angler fishing for trout with a cutting-edge, innovative rod, line, leader and one of the hundreds of flies now accessible, it is impossible to overlook how far fly fishing has come in 250 or so years. The book will also give you a real sense of how small but significant details have changed the procedures utilized, the idea of what constitutes essential gear, and the state of mind surrounding the fly-fishing experience. This book is considered essential reading for anyone with interest in this area. 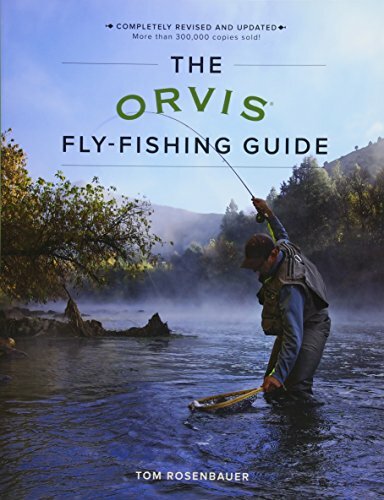 The Orvis Fly-Fishing Guide is one of the best classic fly-fishing books that an aspiring fly fisher can get their hands on. It helps fly fisher wannabes get a rough idea of what the sport is all about. Tom Rosenbauer guides readers on how to angle successfully in salty waters and also offers solutions on how to care for your waders and how to fish a dry fly amidst raging waters. He also teaches you how to handle rods, reels, knots and other fishing tools carefully. 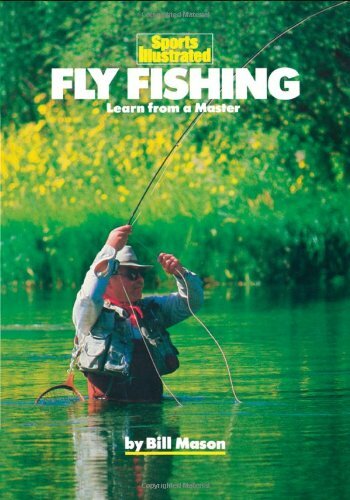 Whether you're a beginner or an expert in fly-fishing, you'll find this book extremely helpful. The graphics are excellent, the writing is warm and personable, and the raw data is very insightful. Bill Mason has a way of simplifying the complex world of fly-fishing so that his readers can easily learn and understand the many aspects of this sport. As an expert in angling, Bill Mason solves all the challenges that discourage people from pursuing fly-fishing. This book serves as an eye-opener on everything that the sport entails. The text is accompanied by illustrations in every chapter that give you a deeper understanding of fly-fishing. You will also become familiar with some of the best fishing equipment available to make the sport more pleasurable and rewarding. The tips and suggestions throughout the book will provide you with sufficient knowledge to buy leaders, rods, lines, and reels that fit your fishing environment, which will go a long way in helping you catch trout effectively. Whether you have just developed an interest in the sport or are a seasoned angler,L.L. 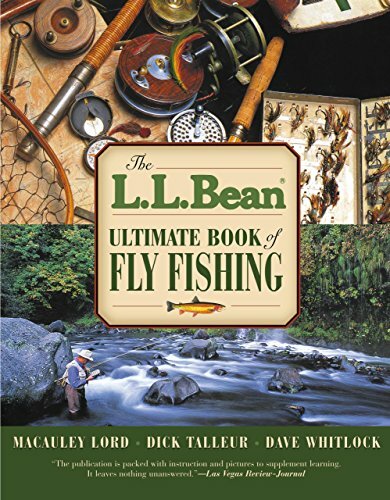 Bean, The Ultimate Book of Fly-Fishing will provide you with beneficial insights, practical suggestions, and valuable tips to elevate your fishing experience. The authors decided to divide the book into three sections to enhance the clarity of their ideas on fly-fishing. These sections are: Fly-Tying, Fly-Fishing and Fly Casting. The language they use is simple to comprehend despite the depth of the information in the book. One of the exciting aspects of this book is studying the biology of fish, the behavior of fish and how to relate with these creatures. It also includes details about safety measures to take during fly fishing, natural fish foods, the assembly of fly tackle, fly casting and much more. The narrative of the book explains the origin of trout and their natural habitats. 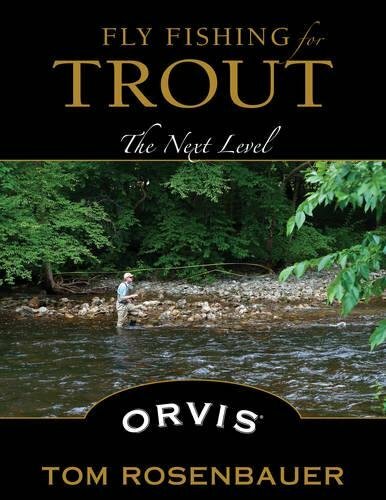 So as you read through the book, you will encounter trout-rich rivers like the Schoharie, Neversink, Beaverkill, Esopus, Willowemoc, and Delaware. The book has passed on knowledge to several generations following its publication in 1983. You will gain knowledge on various types of fishing like fly-casting, deep-sea fishing, spin casting, surf-fishing, bait fishing and much more. The authors also equip you with information on the places where you can find natural foods for fish. These include tanneries, rafting industries, wood-acid firms and even sawmills. 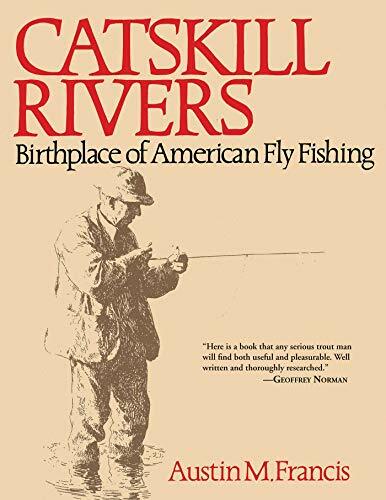 The book provides an excellent overview of all the Catskill Rivers, the birthplace of fly-fishing in America. A must-read for anyone who wants to learn about the colorful characters that will always be associated with the Golden Age of fly-fishing. 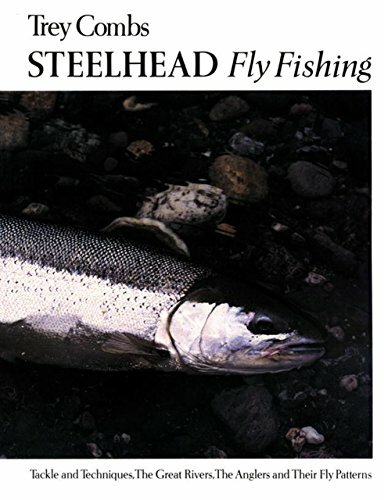 If you are fascinated by steelhead trout and are looking for an educational and resourceful book on fly-fishing, Steelhead Fly Fishing by Trey Combs is a great option for you. The author provides every kind of information that will make your fishing experience a tremendous success, including historical data on the relevant fish species that you will interact with during fly-fishing. The book has specific sections that elaborate on steelhead trout in particular. You will learn about its native waters, including the Dean, the Babine, the Deschutes, the Bulkley, the Rogue and the North Umpqua rivers. A nice feature of the book is that it provides detailed and precise diagrams with directions to the bodies of water. 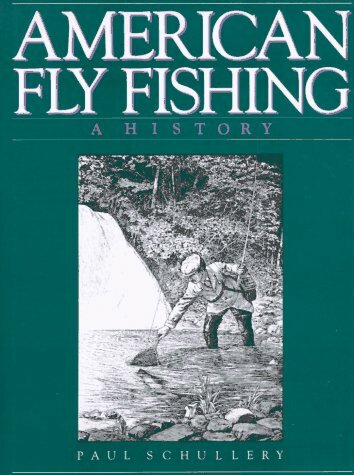 This classic fly-fishing book focuses mostly on salmon fly-fishing. People with renowned expertise in angling say that salmon is one of the most stubborn fish to catch. Therefore, the author provides solutions that will help you handle all the challenges involved. The book begins by defining the fundamentals of fly-fishing for salmon. Additionally, it provides transitional information that encourages fly fishers to advance to more technical techniques for the purpose of gaining new experiences. 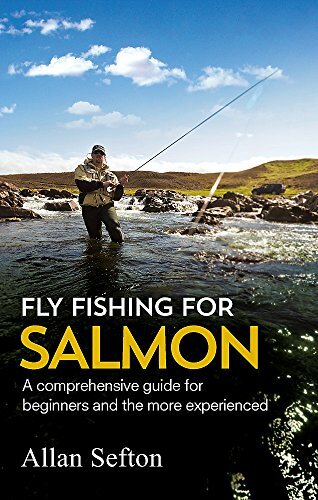 The author identifies the possible obstacles that any angler should overcome and provides the appropriate techniques to use when fly fishing for salmon. Mr. Sefton is also concerned about your problem-solving tactics even when pursuing a new fly fishing discipline and ensures that the newly advanced fishing mechanisms do not stand in your way of exploration. Experts C. Santella, A. Stewart, Tabori, & Chang Share the World’s Best Flyfishing Destinations. Chris Santella provides passionate fly fishers with amazing destinations for fly-fishing around the world. In his book, he accompanies his detailed descriptions with clear photographs of the best places to fish in the world. Those destinations include Laxa Adaldal found in Iceland, where there is a variety of Atlantic salmon for fly fishers. Chris also suggests a place called Boca Paila in the Yucatan Peninsula, Mexico. Fly fishers can also explore the Ponoi River in Mongolia for a wonderful fly-fishing experience as well as the waters of RiverTest found in the United Kingdom around a place called Stockbridge. 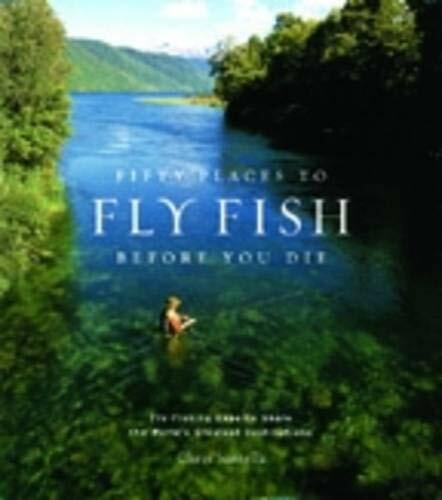 This is a definite must-read if you are passionate about fly-fishing and wish to explore some new destinations. We are confident that the 10 classic fly fishing books recommended above will equip both amateur and professional anglers with the necessary skills they need to perfect their art. Expert anglers who have a wealth of experience and knowledge in various aspects of fly fishing have authored all the listed books. What better way to learn than from the experts? Grab yourself a copy of any of these classic fly-fishing books to unravel the world of fly-fishing and all of the challenges and exciting adventures it holds.